Established in the year 2014 at Surat (Gujarat, India), we "Fine Creation" are Manufacturer and Wholesaler an excellent quality range of Digital Printed Fabric, 3D Digital Printed Fabric. 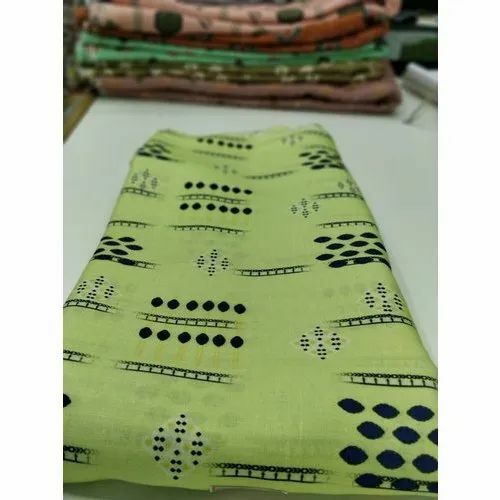 We have gained acknowledgment in the field of Manufacturing and Wholesaling an excellent quality range of Digital Printed Fabric, 3D Digital Printed Fabric, Digital Printed Scarf Fabric, Digital Printed Kurti Fabric, Digital Printed Dupatta Fabric, Digital Printed Blazer Fabric, Digital Printed Cushion Cover Fabric, Muslin Slub Dyed Fabric, etc. We also impart Fabric Sublimation Printing Service at very reasonable rate.